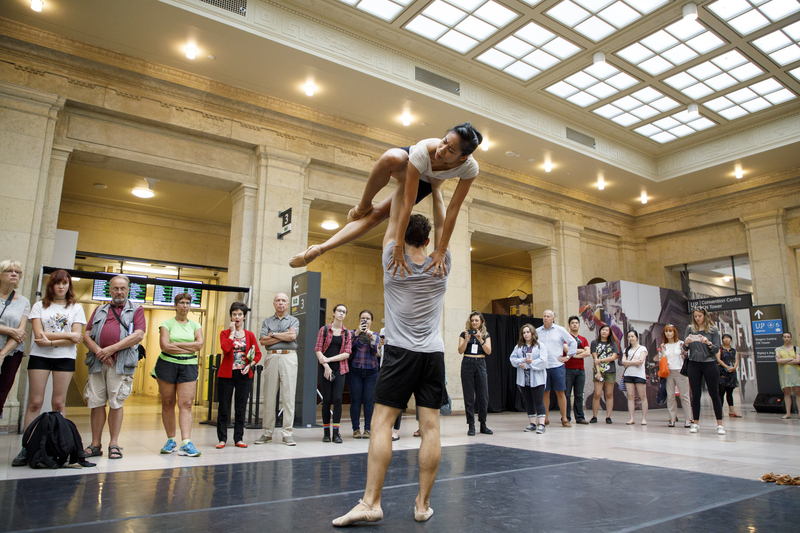 Celebrate the arrival of spring with the beauty of ballet on Sunday, April 14 with Meeting Pointe, a FREE afternoon of contemporary ballet and live music in Union Station’s newly revitalized historic West Wing from 3-4pm. Presented by Union Dance in collaboration with Fall for Dance North and The National Ballet of Canada’s CreativAction programme, this exciting pop-up event takes dance off the stage and into the heart of the city at Canada’s busiest transit hub. Showcasing new works by emerging dance makers Meryem Alaoui and Robert Stephen, with live violin by Aaron Schwebel,Concertmaster of the National Ballet of Canada Orchestra and Artistic Director of Echo Chamber Toronto, Meeting Pointe will feature performances by acclaimed dancers from The National Ballet of Canada, Sonia Rodriguez, Jenna Savella and Spencer Hack. Connect with the power of dance through some of the city’s brightest new choreographic voices! Visit ffdnorth.com/union for more info. Complimentary coffee and hot chocolate provided by Union Food and Tim Hortons. Standing room with limited seating available on a first come, first serve basis, with priority seating provided to those with access needs. Union Station’s West Wing is located on street level just west of the Great Hall in the historic area of the building. Enter the building from the barrier-free Front Street entrance and turn right. It is easily accessible via the Yonge-University Line on the TTC.